"Science is the true theology." 原版英文："The effects we acknowledge naturally, do include a power of their producing, before they were produced; and that power presupposeth something existent that hath such power; and the thing so existing with power to produce, if it were not eternal, must needs have been produced by somewhat before it, and that again by something else before that, till we come to an eternal, that is to say, the first power of all powers and first cause of all causes; and this is it which all men conceive by the name of God, implying eternity, incomprehensibility, and omnipotence." 原版英文："By natural religion, I understand the belief of the existence of a God, and the sense and practice of those duties which result from the knowledge we, by our reason, have of him and his perfections; and of ourselves, and our own imperfections, and of the relationship we stand in to him, and to our fellow-creatures; so that the religion of nature takes in everything that is founded on the reason and nature of things." 原版英文："As priestcraft was always the enemy of knowledge, because priestcraft supports itself by keeping people in delusion and ignorance, it was consistent with its policy to make the acquisition of knowledge a real sin." 原版英文："I believe in one God, and no more; and I hope for happiness beyond this life." 原版英文："Many faiths or religions, clearly, exist or once existed in various countries and ages, and certainly there is not one of them that the lawgivers have not pronounced to be as it were divinely ordained, so that the Wayfarer finds one in Europe, another in Africa, and in Asia, still another in the very Indies." 英文："It is characteristic of fanatics who read the holy scriptures to tell themselves: God killed, so I must kill; Abraham lied, Jacob deceived, Rachel stole: so I must steal, deceive, lie. But, wretch, you are neither Rachel, nor Jacob, nor Abraham, nor God; you are just a mad fool, and the popes who forbade the reading of the Bible were extremely wise." 英文："[T]he serious enemies are the priests of the different religious sects, to whose spells on the human mind its improvement is ominous." 原版英文："Deism is the recognition of a universal creative force greater than that demonstrated by mankind, supported by personal observation of laws and designs in nature and the universe, perpetuated and validated by the innate ability of human reason coupled with the rejection of claims made by individuals and organized religions of having received special divine revelation." Palmer, Elihu. The Principles of Nature. Deism: A Revolution in Religion, A Revolution in You. An Answer to C.S. Lewis' Mere Christianity. God Gave Us Reason, Not Religion. The American Deists: Voices of Reason & Dissent in the Early Republic, by Kerry S. Walters (University of Kansas Press, 1992). An Age of Infidels: The Politics of Religious Controversy in the Early United States by Eric R. Schlereth (University of Pennsylvania Press; 2013) 295 pages; on conflicts between deists and their opponents. Herrick, James A. (1997). The Radical Rhetoric of the English Deists: The Discourse of Skepticism, 1680–1750. University of South Carolina Press. Deism, Masonry, and the Enlightenment. Essays Honoring Alfred Owen Aldridge. Ed. J. A. Leo Lemay. Newark, University of Delaware Press, 1987. ↑ Rickman, T. C. (1819). The Life of Thomas Paine. (p. 130). Pr. and publ. by TC Rickman, and to be had of all Booksellers. ↑ 2.0 2.1 2.2 Welcome to Deism, Deism Defined, Deist Glossary and FAQ. World Union of Deists. ↑ "Deism". Encyclopædia Britannica. 2012. In general, Deism refers to what can be called natural religion, the acceptance of a certain body of religious knowledge that is inborn in every person or that can be acquired by the use of reason and the rejection of religious knowledge when it is acquired through either revelation or the teaching of any church. ↑ "Deism". Jewish Encyclopedia. 1906. Retrieved 2012-10-10. DEISM: A system of belief which posits God's existence as the cause of all things, and admits its perfection, but rejects Divine revelation and government, proclaiming the all-sufficiency of natural laws. ↑ "Deism". The Encyclopedia of Christian Civilization. 2011. doi:10.1002/9780470670606.wbecc0408/abstract. Deism is a rationalistic, critical approach to theism with an emphasis on natural theology. The Deists attempted to reduce religion to what they regarded as its most foundational, rationally justifiable elements. Deism is not, strictly speaking, the teaching that God wound up the world like a watch and let it run on its own, though that teaching was embraced by some within the movement. ↑ 6.0 6.1 6.2 Herrick, J., & Herrick, J. (1985). Against the Faith: Essays on Deists, Skeptics, and Atheists (p. 96). Buffalo, NY: Prometheus Books. ↑ 8.0 8.1 Byrne, P. (2013). Natural religion and the nature of religion: The legacy of deism. Routledge. ↑ Thomsett, Michael C. (2011). Heresy in the Roman Catholic Church: A History. McFarland. p. 222. ISBN 978-0-7864-8539-0. Retrieved 2013-05-16. ↑ James E. Force; Richard Henry Popkin (1990). Essays on the context, nature, and influence of Isaac Newton's theology. Springer. p. 43. ↑ Freethought and Freedom: Deism, The Age of Reason, and Richard Carlile. ↑ Atkins, G. D. (1972). Pope and deism: a new analysis. The Huntington Library Quarterly, 257-278. ↑ Reid, W. H. (1800). The Rise and Dissolution of the Infidel Societies in this Metropolis: Including the Origin of Modern Deism and Atheism, the Genius and Conduct of Thos Associations... From the Publication of Paine's Age of Reason Till the Present Period (etc.). Hatchard. ↑ Wilson, Ellen Judy; Reill, Peter Hanns (2004). Deism. Infobase Publishing. pp. 146–148. ↑ Hardwick, J. "Modern Deism". J. Hardwick. ↑ James W. Sire (2009). The Universe Next Door: A Basic Worldview Catalog. InterVarsity Press. pp. 59–64. ↑ R. E. Allen (ed) (1990). The Concise Oxford Dictionary. Oxford University Press. ↑ "Deist – Definition and More from the Free Merriam-Webster Dictionary". Merriam-webster.com. 2012. ↑ Orr, John (1934). English Deism: Its Roots and Its Fruits. Eerdmans. p. 13. ↑ Bayle, Pierre (1820) . "Viret". Dictionnaire historique et critique (in French). 14 (Nouvelle ed.). Paris: Desoer. ↑ See the entry for "Deism" in the on-line Dictionary of the History of Ideas. ↑ 趙林. 《在上帝與牛頓之間》. 北京: 東方出版社. 2007. ↑ 24.0 24.1 24.2 Justo L. González (1984). The Reformation to the present day. HarperCollins. ↑ 25.0 25.1 25.2 The Clockmaker: A God of Reason. World Union of Deists. ↑ Davies, Philip (April 2010). "Beyond Labels: What Comes Next?". The Bible and Interpretation. Retrieved 2016-05-31. It has been accepted for decades that the Bible is not in principle either historically reliable or unreliable, but both: it contains both memories of real events and also fictions. ↑ Feder, Kenneth L. (2010). Encyclopedia of Dubious Archaeology: From Atlantis to the Walam Olum. Santa Barbara, California: ABC-CLIO. ↑ Joseph C. McLelland; Canadian Corporation for Studies in Religion (November 1988). Prometheus rebound: the irony of atheism. Wilfrid Laurier Univ. Press. p. 85. ↑ Insightful Thomas Paine Quotes on Religion. ThoughtCo. ↑ 30.0 30.1 Deism: Belief in a Perfect God Who Does Not Intervene. ThoughtCo. ↑ Stephen, L. (1881). History of English thought in the eighteenth century (Vol. 2). Smith, Elder & Company. ↑ Orr, John (1934). English Deism: Its Roots and Its Fruits. Eerdmans. ↑ 33.0 33.1 The case for Deism...or not?. ↑ Rees, Martin (May 3, 2001). Just Six Numbers: The Deep Forces That Shape The Universe (1st American ed.). New York, NY: Basic Books. p. 4. ↑ Davis, Paul (2007). Cosmic Jackpot: Why Our Universe Is Just Right for Life. New York, NY: Orion Publications. p. 2. ↑ Deism. The Basics of Philosophy. ↑ Do Deists Have a Personal Relationship with God?. Church of The Modern Deist. ↑ The New Oxford Dictionary Of English. Oxford: Clarendon Press. 1998. p. 1341. ↑ Große, Gottfried (1787). Naturgeschichte: mit erläuternden Anmerkungen. p. 165. ↑ Sagan, Dorion, "Dazzle Gradually: Reflections on the Nature of Nature" 2007, p 14. ↑ "Deism Defined, Welcome to Deism, Deist Glossary and Frequently Asked Questions". Deism.com. ↑ Waring, E. Graham (1967). Deism and Natural Religion: A Source Book. p. 113. ↑ Waring, Edward Graham (1967). Deism and natural religion: a source book. F. Ungar Pub. Co.
↑ 45.0 45.1 Champion, J.A.I. (2014). The Pillars of Priestcraft Shaken: The Church of England and its Enemies, 1660-1730. Cambridge University Press (Cambridge Studies in Early Modern British History). Champion maintains that historical argument was a central component of the Deists's defences of what they considered true religion. ↑ 46.0 46.1 Deism Defined. World Union of Deists. ↑ Mossner, Ernest Campbell (1967). "Deism". The Encyclopedia of Philosophy. Vol. 2. Collier-MacMillan. pp. 326–336. ↑ Jesus Christ in History and Scripture, Edgar V. McKnight, p. 96 (1999). ↑ 49.0 49.1 Michael Corbett and Julia Mitchell Corbett, Politics and religion in the United States (1999) p. 68. ↑ The Jefferson Bible, introduction by M. A. Sotelo, (2004) Promotional Sales Books, LLC paperback. ↑ Was Jesus a Real Person or Just a Figment of Human Imagination. World Union of Deists. ↑ David Hartley, for example, described himself as "quite in the necessitarian scheme. See Ferg, Stephen, "Two Early Works of David Hartley", Journal of the History of Philosophy, vol. 19, no. 2 (April 1981), pp. 173–89. ↑ See for example Liberty and Necessity (1729). ↑ V. Braginski and F. Khalili, Quantum Measurements, Cambridge University Press, 1992. ↑ Quantum Mechanics Supports Free Will. Big Think. ↑ The Quantum Physics of Free Will. Scientific American. ↑ Orr, John (1934). English Deism: Its Roots and Its Fruits. Eerdmans. p. 137. ↑ Orr, John (1934). English Deism: Its Roots and Its Fruits. Eerdmans. p. 78. ↑ Orr, John (1934). English Deism: Its Roots and Its Fruits. Eerdmans. p. 134. ↑ "Deism Defined, Welcome to Deism, Deist Glossary and Frequently Asked Questions". Deism.com. 2009-06-25. ↑ Lockard, Jim. "Affirmative Prayer". Affirmative Prayer. ↑ The discussion of the background of deism is based on the excellent summary in "The Challenge of the Seventeenth Century" in The Historical Jesus Question by Gregory W. Dawes (Westminster: John Knox Press, 2001). 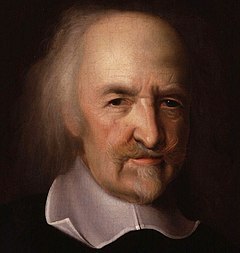 Good discussions of individual deist writers can be found in The Seventeenth Century Background and The Eighteenth Century Background by Basil Willey. ↑ Couplet, Philippe; et al., eds. 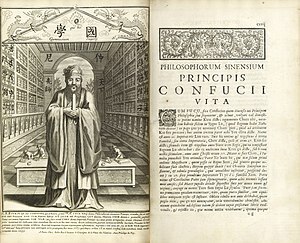 (1687), Confucius Sinarum Philosophus, sive, Scientia Sinensis Latine Exposita [Confucius, Philosopher of the Chinese, or, Chinese Knowledge Explained in Latin], Paris: Daniel Horthemels. (in Latin). ↑ "Windows into China", John Parker, p.25. ↑ "The Eastern origins of Western civilization", John Hobson, p.194-195. ↑ De veritate (Editio tertia), De causis errorum, De religione laici, Parerga. (London 1645). ↑ Bradshaw, Brendan (1983). "The Reformation and the Counter-Reformation". History Today. 33 (11): 42–45. ↑ Brady, Thomas A., Jr. (1991). "People's Religions in Reformation Europe". The Historical Journal. 24 (1): 173–182. ↑ Becker, Sascha O.; Pfaff, Steven; Rubin, Jared. "Causes and Consequences of the Protestant Reformation". Explorations in Economic History. ↑ "Galileo and the Birth of Modern Science". American Heritage of Invention and Technology. 24. ↑ Galileo Galilei - Misjudged astronomer. Christianity Today. ↑ Leviathan. Revised Edition, eds. A.P. Martinich and Brian Battiste. Peterborough, ON: Broadview Press, 2010. ↑ Israel, Jonathan I. Radical Enlightenment. Oxford University Press: 2001. ↑ Champion, Justin (2003). Republican learning: John Toland and the crisis of Christian culture, 1696-1722. pp. 69–86. ↑ 75.0 75.1 Gay, Peter (1968). Deism: An Anthology. Van Nostrand. ↑ "Deism | religious philosophy". Encyclopedia Britannica. ↑ Gay, Peter (1968). Deism: An Anthology. Van Nostrand. p. 143. ↑ Voltaire. W. Dugdale, A Philosophical Dictionary ver 2, 1843, p. 473 sec 1. Retrieved 31 October 2007. ↑ Cronk, Nicholas (2009). The Cambridge Companion to Voltaire. Cambridge University Press. p. 199. ↑ Gildon, Charles. The Deist's Manual. (British Philosophers and Theologians of the 17th & 18th Centuries Series.) London: for A. Roper, 1705; reprint, New York: Garland Publishing, 1977. ↑ Britannica - The Founding Fathers, Deism, and Christianity. ↑ Holmes, David (2006). The Faiths of the Founding Fathers. New York, NY: Oxford University Press, USA. ↑ Michael Corbett and Julia Mitchell, Corbett, Politics and religion in the United States (1999). p. 68. ↑ "Culture Wars in the Early Republic". Common-place. ↑ Gordon-Reed, Annette and Peter S. Onuf. Thomas Jefferson’s Bible Teaching. New York Times. ↑ Gay, Peter (1968). Deism: An Anthology. Van Nostrand. p. 140. ↑ Mossner, Ernest Campbell (1967). "Deism". Encyclopedia of Philosophy. 2. Collier-MacMillan. ↑ "ARIS key findings, 2001". Archived from the original on 2005-10-24. ↑ "Largest Religious Groups in the United States of America". Adherents.com. ↑ "ARIS Summary Report, March 2009" (PDF). 2009. Retrieved 2017-03-18. ↑ Grimes, William (2010-04-16). "Antony Flew, Philosopher and Ex-Atheist, Dies at 87". The New York Times. ↑ "Raymond Fontaine's website: From Catholic Priest to Deist With Nature's God". deism.com. ↑ Raphael Lataster (2013). There was no Jesus, there is no God: A Scholarly Examination of the Scientific, Historical, and Philosophical Evidence & Arguments for Monotheism. p. 165. ISBN 1492234419. This one god could be of the deistic or pantheistic sort. Deism might be superior in explaining why God has seemingly left us to our own devices and pantheism could be the more logical option as it fits well with the ontological argument's 'maximally-great entity' and doesn't rely on unproven concepts about 'nothing' (as in 'creation out of nothing'). A mixture of the two, pandeism, could be the most likely God-concept of all.